“It is you, the Jewish people, not a building or anything else that makes a community. B’nai Emunah is not a temple. Rather, it is a beit knesset, a place of gathering for our people. This is what makes us special.” During Shabbat services, a couple weeks ago, I paused in my drash to share a moment with Rabbi Ted. After I spoke of some of the important customs that were a part of his 38 year legacy at the congregation, I stepped down from the bimah to sit by his side for a few moments, as a colleague and as a student as well. He stood from his seat, and shared with us his teaching about the essential quality of our community on the auspicious occasion of our synagogue’s 65th Anniversary. Some were in tears and many of us were touched by this unique moment in time. I also felt the honor of sharing the legacy of leadership of our community with him and was proud to receive his blessing. I, of course, added a few words of my own. People sometimes ask me, “what does ‘B’nai Emunah’ mean?” I say that it is usually translated as the “children of faith” or “the faithful ones.” It also means “those who remain steadfast, those who have faith in our heritage, our history, our culture and our future.” And, it also means “those who truly believe in the importance of ritual, of making meaning, of being together in real community, and of taking seriously the idea of l’dor v’dor, from generation to generation.” I’m proud to be a leader in the community and to also be a part of the future of our people and our congregation. Indeed, each of us can be proud, as we are all an important link in this chain, which connects Germany to Shanghai, and Shanghai to San Francisco. Adding to Rabbi Ted’s words, I highlighted those essential qualities which make us who we are: warm, welcoming and friendly. I also reframed this description because we are all of these and so much more. To me B’nai Emunah is a boutique San Francisco synagogue by the beach – a community that honors tradition and innovation, and is fully egalitarian, intergenerational and authentic. Whether it was Egypt or Europe or Shanghai, the Jewish people have always been on the move. Our story now continues, as it has done both in the long legacy of the Jewish people and in B’nai Emunah’s 65 years in San Francisco. Amazing things can happen to our people in new lands and among new people. Though we are presented with many of the challenges of a contemporary synagogue, we also enjoy the rich benefits of our communal home. Our refuge has been and will be – a sustainable community, where no matter what, each household is of utmost significance to the whole. 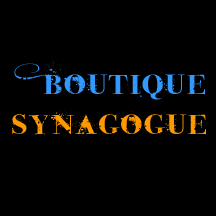 It is our customized and individualized approach to Jewish life which allows us to optimize and provide: comfort and support, nourishment and meaning, intellectual and spiritual stimulation, and friendship and fellowship. Our essential obligation is to maintain and nourish Jewish identity, while we adapt, grow, and add our own contribution to the community which was built by those who came before us. On the occasion of our synagogue’s 65th anniversary, I found myself perusing the Psalms and reading Psalm 65. Mining it for parallel wisdom and now entering 2015, I share these blessings for our congregation, for our lives and for the world. This entry was posted in Congregation News, Jewish Learning, Sermons, Uncategorized and tagged Conservative Synagogue San Francisco, High Holidays 2011, Jewish Learning, Rabbi Mark, Reconstructionist Rabbi San Francisco, San Francisco Jewish Congregation. Bookmark the permalink.